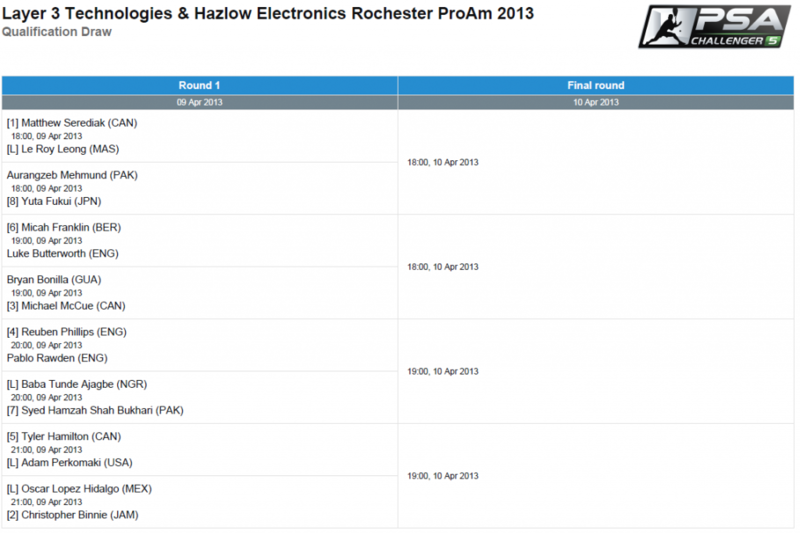 Welcome to the 12th annual Rochester Pro-Am Squash Tournament, presented by the Rochester Squash Racquets Association and jointly sponsored by Layer 3 Technologies, Hazlow Electronics and a number of generous corporate and individual sponsors from the Rochester squash community. 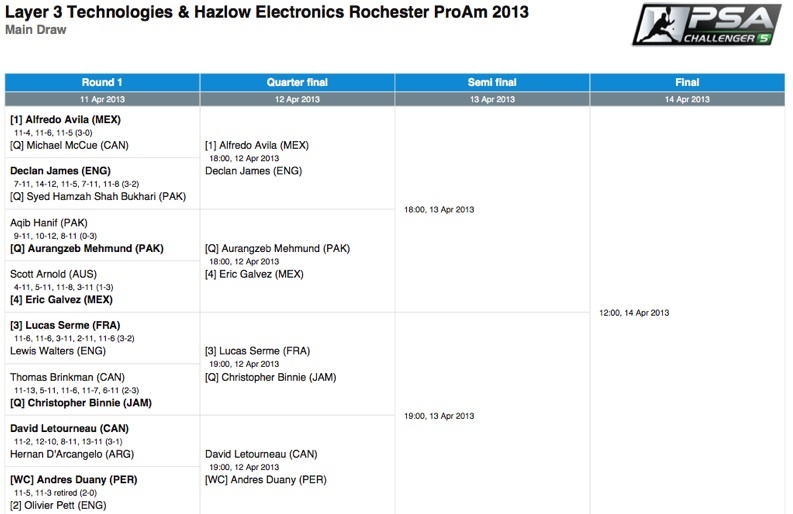 A $7K Challenger 5+ event on the Professional Squash Association (PSA) world tour calendar, the Rochester ProAm will boast a 16 man qualifying draw and a 16 man main draw. In the past we have had players rated from No. 68 to No. 200 in the world hailing from USA, Australia, Egypt, Pakistan, Canada, Colombia, Austria, South Africa, Mexico, Botswana, Zambia, Japan, Argentina, Wales, England, France, Switzerland, Finland and Brazil.